Oppo's sub-brand Realme announced that it has sold 5 lakh units of the Realme 3 in India within 3 weeks since its launch on March 4. 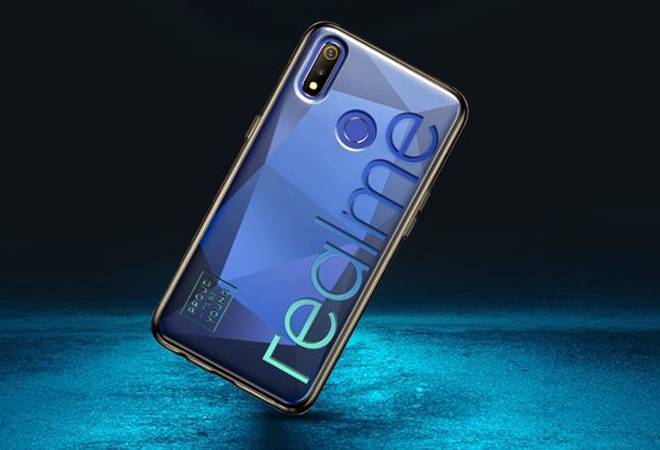 The company is also planning to launch Realme 3 Pro this month to take on Xiaomi Redmi Note 7. Realme 3 is priced at Rs 8,999 for the base 3GB RAM and 32GB storage variant and Rs 10,999 for the 4GB RAM and 64GB storage version. As far as specifications are concerned, the smartphone is powered by Octa core (2.1 GHz, Quad core, Cortex A73 together with a 2 GHz, Quad core, Cortex A53) processor paired with 4 GB of RAM. The phone runs on a 12nm MediaTek Helio P70 SoC. On the other hand, its competitor, Xiaomi's Redmi Note 7 carries a 14nm Snapdragon 660 SoC which is less efficient. The Helio P70 was previously seen on the Realme UI and was found to be a powerful chipset. Therefore, the Realme 3 should offer fast performance over the Snapdragon 660. Realme 3 comes with a dewdrop notch similar to the one seen on the Realme 2 Pro phone. Apart from the dewdrop notch, the Realme 3 has a 6.2-inch HD+ display with 1520x720 resolution, 19:9 aspect ratio. It packs in a 4230mAh battery, 230mAh more than the Xiaomi Redmi Note 7, which should hypothetically offer more power. As far as the optics are concerned, Realme 3 comes with a dual camera setup at the back with a 13 MP and 2 MP cameras.There is a nightscape mode for low-light photography and a chromaboost mode to click better pictures during daytime. On the front, the Realme 3 gets a single 13MP f/2.0 selfie snapper housed in the waterdrop notch. The next sale of Realme 3 will be on April 9 at 12pm on Flipkart and Realme's official website.